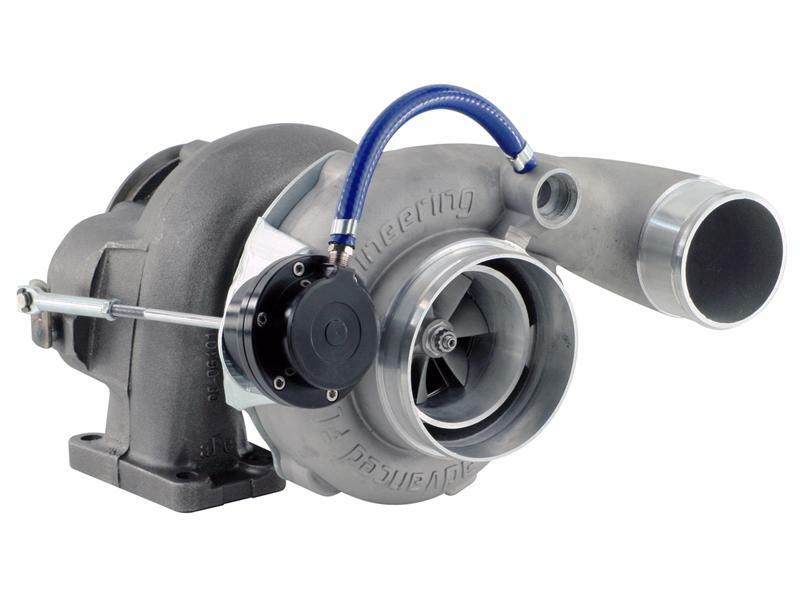 This all new aFe BladeRunner turbocharger produces an incredible 104hp and 206lbs. x ft. torque over the standard cummins turbocharger while lowering Exhaust Gas Temperatures (E.G.T). The BladeRunner turbocharger is constructed of high quality A356 cast aluminum using a ported shroud compressor housing eliminating turbo bark and compressor surge. This turbocharger utilizes factory mounting points and retains the factory air control valve for a safe and hassle-free installation. The turbocharger is equipped with a 58mm inducer and a 76mm exducer for reduced turbo lag and maximum performance and power. The BladeRunner turbocharger comes standard with a heavy-duty billet aluminum wastegate actuator set at 40psi. New gaskets are supplied for a leak-free seal.